We all should allow the Scriptures to stand as their own witness and interpreter. In the Westminster Confession of Faith (1646) it is summarized in (1:9): “The infallible rule of interpretation of Scripture is the Scripture itself; and therefore, when there is a question about the true and full sense of any Scripture it must be searched and known by other places that speak more clearly.”Reading and studying the Bible we shall find more answers in it and shall be able to build up our faith, in understanding the Bible. 2PE 1:20 Knowing this first, that no prophecy of the scripture is of any private interpretation. 21 For the prophecy came not in old time by the will of man; but holy men of God spake as they were moved by the Holy Ghost. ACT 15:15 And to this agree the words of the prophets; as it is written, 16 After this I will return, and will build again the tabernacle of David, which is fallen down; and I will build again the ruins thereof, and I will set it up. MATT. 22:29,31. Jesus answered and said unto them, Ye do err, not knowing the scriptures, nor the power of God. But as touching the resurrection of the dead, have ye not read that which was spoken unto you by God, saying. EPH. 2:20. And are built upon the foundation of the apostles and prophets, Jesus Christ himself being the chief corner-stone. With ACTS 28:25. And when they agreed not among themselves, they departed, after that Paul had spoken one word, Well spake the Holy Ghost by Isaiah the prophet unto our fathers. In parts 4 an 5 of the first chapter in the same document we do find that the authority of the Holy Scripture, for which it ought to be believed and obeyed, depends not upon the testimony of any man or Church, but wholly upon God (who is truth itself), the Author thereof; and therefore it is to be received, because it is the Word of God. 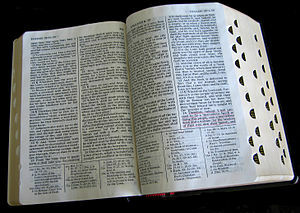 We may be moved and induced by the testimony of the Church to an high and reverent esteem of the Holy Scripture; and the heavenliness of the matter, the efficacy of the doctrine, the majesty of the style, the consent of all the parts, the scope of the whole (which is to give all glory to God), the full discovery it makes of the only way of man’s salvation, the many other incomparable excellencies, and the entire perfection thereof, are arguments whereby it does abundantly evidence itself to be the Word of God; yet, notwithstanding, our full persuasion and assurance of the infallible truth and divine authority thereof, is from the inward work of the Holy Spirit, bearing witness by and with the Word in our hearts. 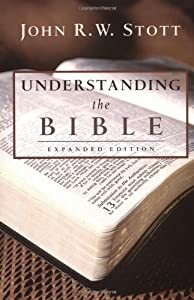 The Christadelphians believe that the Bible (66 books) is the inspired word of God, complete and self-sufficient to instruct us in the way of salvation. We do not believe that any Christadelphian, past or present, has received any type of special revelation. It is only through sustained and prayerful reading of the Scriptures that we come to an understanding of the purposeof God in our lives, and how He would have us conduct ourselves day to day. In The Christadelphian Statement of Faith it also says that the only true God is He Who was revealed to Abraham, Isaac and Jacob, by angelic visitation and vision, and to Moses at the flaming bush (unconsumed) and at Sinai, and Who manifested Himself in the Lord Jesus Christ, as the supreme self-existent Deity, the One Father, dwelling in unapproachable light, yet everywhere present by His Spirit, which is a unity with His person in heaven. It furthers notes that in His kindness, the Creator of heaven and earth, conceived a plan of restoration which, without setting aside His just and necessary law of sin and death, should ultimately rescue the race from destruction, and people the earth with sinless immortals. That He inaugurated this plan by making promises to Adam, Abraham and David, and afterwards elaborated it in greater detail through the prophets. I, like all the Christadelphians, believe that these promises had reference to Jesus Christ the Messiah, who was to be raised up in the condemned line of Abraham and David, and who, though wearing their condemned nature, was to obtain a title to resurrection by perfect obedience, and, by dying, abrogate the law of condemnation for himself, and all who should believe and obey him. Jesus some two thousands years ago in a miraculous begettal of a human mother, of the house and lineage of David, came onto this earth enabling him to bear our condemnation, and, at the same time, to be a sinless bearer thereof, and, therefore, one who could rise after suffering the death required by the righteousness of God. I thought I would provide readers a “top ten list” (not meant to be exhaustive) of biblical teachings about the Bible. The Bible affirms that Christian teaching is “preached” (1 Pet. 1:25), that the Apostles’ successors were to teach what they have “heard” (2 Tim. 2:2), and that Christian teaching is passed on both “by word of mouth [and] by letter” (2 Thess. 2:15; cf. 1 Cor. 11:2). It has often been charged that the Bible can’t be trusted because people can make it say anything they want it to say. This charge would be true if the Bible were not the objective Word of God, if it were simply a wax nose, able to be shaped, twisted, and distorted to teach one’s own precepts. The charge would be true if it were not an offense to God the Holy Spirit to read into sacred Scripture what is not there. However, the idea that the Bible can teach anything we want it to is not true if we approach the Scriptures humbly, trying to hear what the Bible says for itself. To be sure, there have been errors made over the thousands of years Since Moses penned the creation account. But that doesn’t mean the message has been altered. In fact, we find that the message is drastically consistent no matter how old the manuscripts end up being! The Uniting Church members of the team were cautious about using the ancient texts of the Old Testament to condemn any group of people without undertaking serious interpretation of those passages according to their various contexts. They pointed to the need to be “attentive and respectful of one another as we grow into Christ’s body”. We do not have a literal understanding of Old Testament Law as if any of it applied to us in the same way that it applied to the Hebrews. We, like Luther, look to the scriptures to point us to Jesus. We also look to the scriptures, Old and New Testament to give direction. But, as Luther said, in this sense we take Moses as teacher, not as Law giver and the passage in question must line up with the message of Jesus and with “natural Law” . It’s easy to romanticize the Bible as a giant reference tool full of verses to make us feel better about ourselves. Or as God’s answer book, loaded with sound-bytes for everything that triggers our curiosity, including where to apply for our dream job. Even worse, God’s little love note to us…I digress. Every word you read in the Bible, from Genesis to Revelation, the Psalms, the Chronicles, and even the apocalyptic literature, all fits warmly under these two headings: you are either reading Law, or you are reading Gospel. A Law-demanding life is hopeless without the power of the Gospel, yet the good news of the Gospel is nonsensical without the Law. Simply put, the Scriptures are truncated unless both Law and Gospel are in it together. if you only care about Gospel passages that proclaim your true your identity in Christ to make you feel good about yourself, yet do not acclimate to that truth by responding in loving obedience, you become antinomian and relativistic. You still need the Law! You need it to give you rails by which you can respond in your loving worship to a holy God, who calls us to love him wholeheartedly, and our neighbor as ourselves. This is the whole council of Scripture–it’s everything God must say to us in this moment in history. After becoming Reformed and being subsequently “dismissed” from ministry with Calvary, he went to Westminster Seminary California where he received an M.Div. in 2004. After graduation he was ordained by the Pacific Northwest Presbytery of the Presbyterian Church in America and called to plant Exile Presbyterian Church in the Seattle area, where he served from 2004 until resigning in the Spring of 2012. Despite being a fairly law-abiding guy, I can relate to being on the losing side of a battle, only mine was not against the law, but against the Church. This entry was posted in Bible or Holy Scriptures, Bible Reading, Bible Study, God (English articles), Jesus Christ and tagged Authority, Bible, Biblical Hermeneutics, Christadelphians, Creator, Doctrine, Faith, God's Plan, God's Word, Hermeneutics, Holy Spirit, Inspiration, Religious text, Rescue, Restoration, Revelation, Salvation, Statement of Faith, Style, Testimony, Truth, Westminster Confession of Faith. Bookmark the permalink.